Out of Manchester, England in the United Kingdom, Music Television is pleased to present Pale Waves and the music video to their second single song release titled Television Romance, directed by Matthew Healy & Samuel Burgess-Johnson. 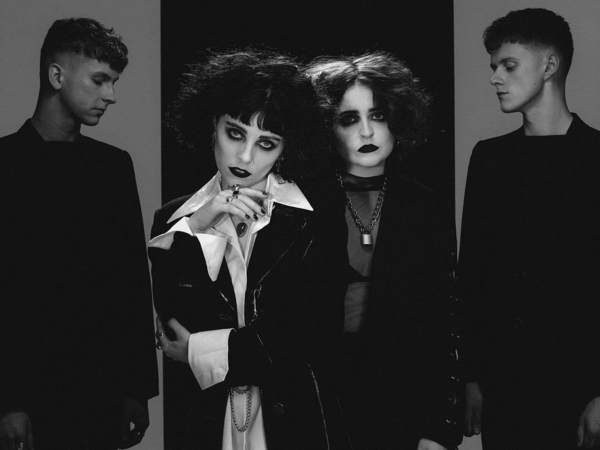 Pale Waves consists of Heather Baron-Gracie on lead vocals and rhythm guitar, Ciara Doran on drums, Hugo Silvani on lead guitar and keyboards and Charlie Wood on bass and keyboards. Pale Waves is signed to Dirty Hit and Interscope.